March 28, 2016 – In support of the upcoming GlobalMindED Conference in June 2016, the Huffington Post featured my story to help inspire educators, children and families to pursue their own dreams regardless of the challenges faced. It is an honor to be included in the list of inspiring stories for this wonderful organization focused on increasing diversity in education while addressing the social and economic barriers that are often ignored. 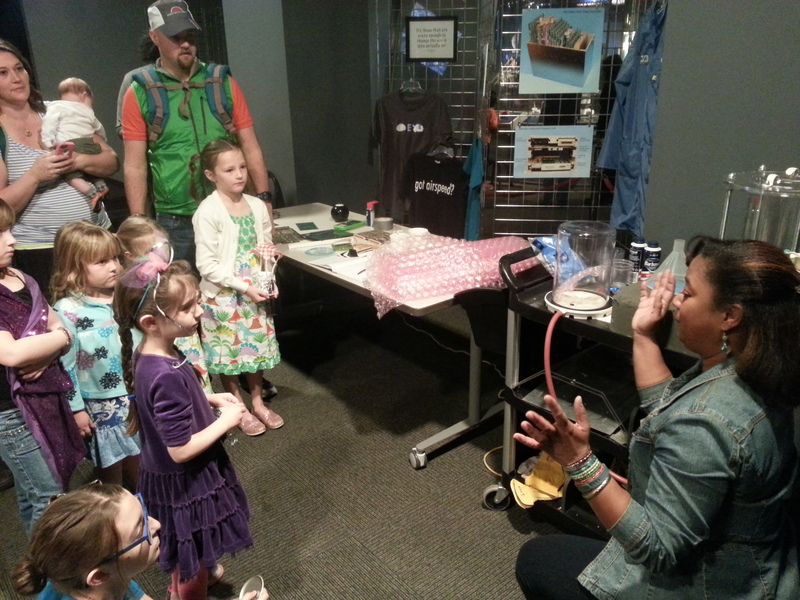 February 7 2015 – I was asked by the Denver Museum of Nature and Science to participate as a Clubhouse Leader for their first “Annual” Girls & Science event. I collaborated with other women in aerospace in Colorado and together we created the most trafficked and involved activity of the day. The event was so successful, traffic around the museum was backed up for hours and over 5000 girls and their families visited the museum. It was an amazing experience and I know I speak for the team I assembled that we would jump at the chance to do it again. February 2014 – A “Game Changer” is what they are calling me. I’m still not sure if I’ve earned the title yet but I am honored to be thought of as such. This is a story and video created by CBS Denver to highlight an exhibit I’ve created for the Wings Over the Rockies Air and Space Museum in Denver, Colorado. The exhibit is scheduled to go live the Summer of 2014. 1/9/2014 – My EZ Heat Solar furnace project has gained a lot of attention for the innovative use of recycled materials and the improvement of families lives in a little known neighborhood of Denver. The Denver Post sent reporters out to document the installation of one of the furnaces and share the story. Although I am the student who spent the summer designing and building the furnaces as well as the one who came up with the ingenious use of a clear shower curtain, it is naturally the professor who gets most of the accolades. It was his restrictions on the project that encouraged us to expand our minds and think both within and out of the box to solve a problem. Read the Denver Post article here and leave your thoughts. Follow my blog for more updates on the project and instructions on how to build your own EZ Heat furnace. 11/20/2013 – MSU Denver article in the Metrospective School Newspaper covering the “2013 Spreading Wings Gala” by Wings Over the Rockies Air and Space Museum in Denver, Colorado. During this event, I presented my STK Forensic Emulation of the second attempt in 1937 by Amelia Earhart to circumnavigate the globe. July 2013 – A review on the STEM Ventures Charter Schools website after visiting MSU Denver during the summer of 2013. The students toured the Department of Aviation and Aerospace Sciences on a Friday morning. During their visit, I demonstrated AGI’s Systems Toolkit (STK) program and its variable uses. After the tour, I answered questions posed by students and their parents regarding the value of pursuing science and math and showed them how to apply their passions in art, skiing and gymnastics to STEM fields. My participation in this tour was unplanned, however I willingly stepped up to help when requested.